A DAY OF CHAOS — 22,000 MILES UP! “Perihelion,” the day when the Fuse space station is closest to the Sun, has arrived. For the next 24 hours, Ristovych and Dietrich struggle to deal as the orbiting city’s population goes a little nuts! Escaped convicts, crazed gunmen, anarchist protesters, attempts on the Mayor’s life… oh yeah, and two new homicide cases to boot. 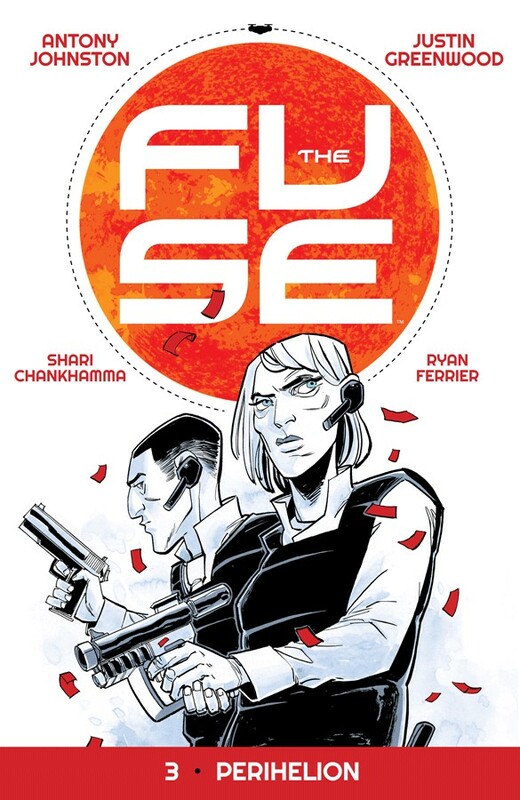 Collects THE FUSE #13-18.